Screening of I’m not a feminist, but… at the Hamburg International Queer Film Festival on 25 October, 1.30pm at Metropolis Kino. Programme here. 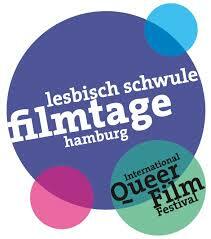 In 2013 some 1 5,500 visitors visited Germany’s largest and longest-running LGBT film festival. The colourful and comprehensive selection of films includes everything from feature length feel-good movies and documentaries to politically courageous productions and rarely seen experimental projects – allowing everyone the chance to find something to get excited about. The festival is Hamburg’s second largest film event and screens over 65 programmes and 130 films from around the world in five cinemas over six days. Roughly 20 people – on a non-salaried basis – work throughout the year to organize the festival. They are in turn supported by an army of wonderful volunteers. The team’s aim is to remain independent and to offer a festival that is accessible to the widest audience possible. 1990, the year the world changed: Gorbachev was elected head of state in the USSR, the WHO decided homosexuality should no longer be classified as an illness, the Berlin Wall was torn down, and Hamburg witnessed the birth of its first Lesbian and Gay Film Festival. A true novelty for German cinemas, here was a festival organised by lesbians and gay men, who set out to counter stereotypical representations of homosexuality in film. Sidelining mainstream productions, the HIQFF featured independent homosexual filmmakers, half-forgotten classics, and a wide array of short films. Cultural events accompanied the programme, and Rosie’s café at the Metropolis offered lots of opportunities for the community to chat with international guests. In the following years the festival expanded further. 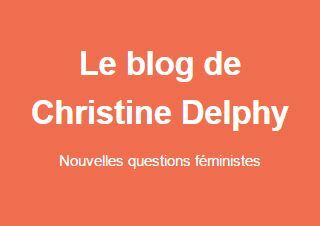 Topics such as HIV/AIDS (1990), camp (1997), or religious fundamentalism (2008) were covered, or the representation of homosexuality and transsexuality in certain countries or regions such as Great Britain (1994), Eastern Europe (2001 & 2006) and South Africa (2008). More than 170 international filmmakers have been invited to the festival. Icons of the community, such as Barbara Hammer, Andrea Weiss, Susie (Sexpert) Bright, Janice Perry, Ades Zabel, Gustav-Peter Wöhler, Bruce LaBruce and John Greyson have honoured the festival with their presence, with many offering workshops – another Festival staple. Nathalie Percillier’s 2005 course on filmmaking even resulted in its own film series: Made in Germany. From the beginning, the HIQFF offered more than just cinematic experiences. An autonomous team from within Hamburg’s community annually organises – without financial resources, and exclusively for the festival – the (in)famous Nachtbar. First established when the festival moved to its autumn schedule, this nightly get-together offers drinks, talks with filmmakers, music, dancing and lots of chances for a flirt or more. Each year a new location is chosen – top secret until the opening night – but the Nachtbar’s trademark wild creativity and the ‘Talk Sofa’ with Blessless Mahoney and Dr Jaeger-Matz travel on with the crew. Also accompanying the festival is community-based media coverage. Between 1996–2001, the public channel featured news, gossip, and interesting images on its “Hello Pretty, Pretty” programme. Ricardo M. reported live from behind the scenes for Tide in the years 2006–2007. Last not least, countless parties have been held for the benefit of the festival – a big and sincere thank you to all involved! The non-hierarchical team structure has proven effective over the years. Each team member is responsible for one work area. There are also several subgroups which watch, discuss, and finally select every submitted feature and short film – each year that amounts to over 200 long and 300 short films. Additionally, other lesbian/gay/transgender/queer film festivals are visited on the search for new cinematic jewels. Other important work includes: press and public relations, fundraising, ticketing, editing the programme magazine, and, of course, organising the 6 days of screenings. During the busiest months leading up to the festival two interns support the team. The team members all work on a voluntary basis, however, after last year’s record-breaking 15,000 attendees, it has been decided to create one paid parttime job to help with the workload. The festival’s expenses are re-financed through ticket sales, the generous support of our ‘Push-Up Club’-members, and with state money from the City of Hamburg’s department for culture.